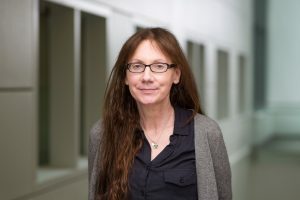 It was with great sadness that I read in the NYT yesterday of the passing of Dr. Lisa Schwartz. She, along with her husband, Dr. Steven Woloshin, have been big advocates of our bakery since our early days in Bridgewater, VT. Carolyn and I first met her and her husband about 11 or 12 years ago at our stall at the Norwich Farmers’ Market. She was the kind of customer that I would look forward to seeing on Saturday mornings. I believe someone schooled in the science of survey questions would smile at this. I lost my father to cancer as what happened to Lisa, and it was a great comfort to hear from people in the form of condolence cards. It showed me that my father made a difference and had touched people’s lives. Why do I mention this? Because from my experience, if you knew Lisa and her Family, it would be a real nice gesture to her husband and children to know that you were thinking of her and them if you sent them a card. Lisa had touched my life with her enthusiasm for the food I make and for that I will always be grateful. I am so very sorry of her passing at such an early age.